Home inspectors protect your home. Your investment. Your castle. 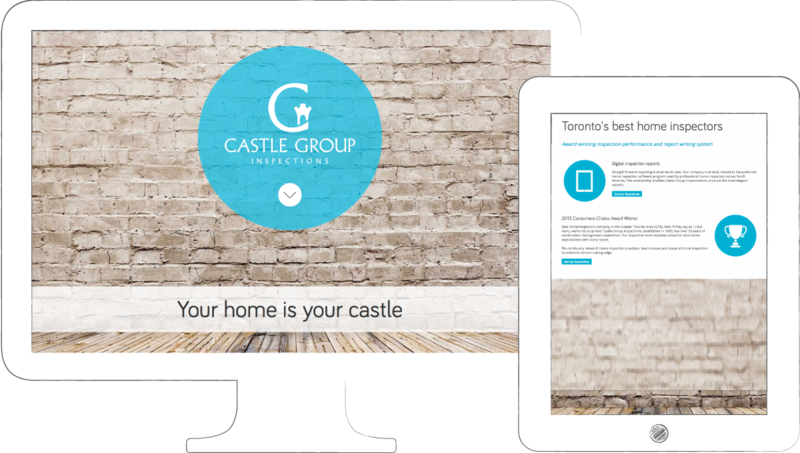 When designing Castle Group’s brand, using a castle image just made sense. Duh. But to make the name even more memorable and to give it added value and strength, I merged the castle into the "C” to form, yes, the business’s initials. 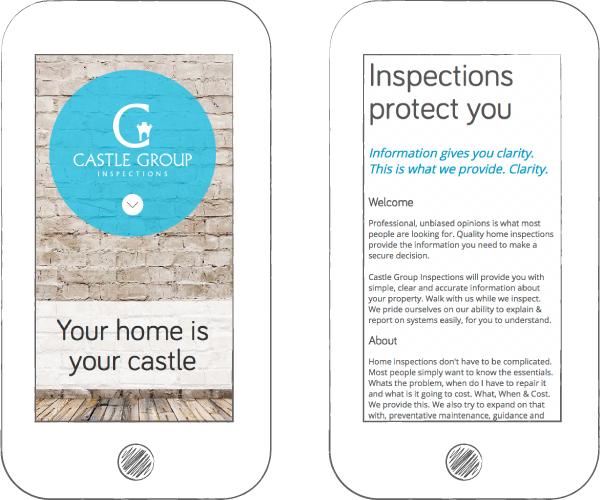 Not only does it feature a simple single-page scroll and responsive design, the website is also flexible enough to grow with the company. More importantly, it’s easy to navigate and is compatible with all devices. No more awkwardly cut-off pages on your smartphone. "Andy took our brand identity back on track with a new logo and colour palette that represents the strength and reliability of our business. "